A domain is an unique address that a user types in their browser address bar to access a site. There are numerous types of domain name and several types domain extension available. You can get free sub-domain from various sites such as blogger, typepad, wordpress etc. But when you go forward as a pro blogger or want to run a business blog to promote your product or services then you have to use a custom domain name for your blog site. Using a custom domain has some extra layer of features. This also help your visitors to keep your blog URL in their mind. ALSO READ: Best Tips For Choosing A Web Hosting Company. Many beginner usually select a wrong custom domain while they are selecting a vanity URL for their blog or website. In today's post we will show you how to select an ideal custom domain name. If you are blogger and make a decision to buy a custom domain name then it is very essential for you. Always try to get a domain name that marks your blog contents about. For example if you blog about web hosting and you select your blog domain name about technology then make sure you will be drop from SERP. Because it also preferable matter for SEO. So, always try to get a domain name which is appropriate for your blog contents and easy to remember for your audience. After selecting some content related domain name as draft search for their available status. It is important to search because your selected domain name may already bought by other. If it is available you can grab your name. If not available try with another one. For example just like me, I wanted to buy www.ShineMark.com but it was already bought by other one while I was buying my domain name. So, I selected www.ShineMat.com as my blog name. You can check your desired domain name available status from here. If your name is available it comes to second step which is called domain name extension. Domain name extension is the last two or three letters at the end of a domain name. Such as: .com, .org, .net, .info, .bd, .uk. I will say to select .com extension. It is very preferable by internet users and dot com extension is very common. You know what many people think that a website ends only with .com extension. On the other hand generally, two letter extensions are usually use for pointing certain countries. Such as: .bd for Bangladesh, .us for United States, .co.uk for United Kingdom. 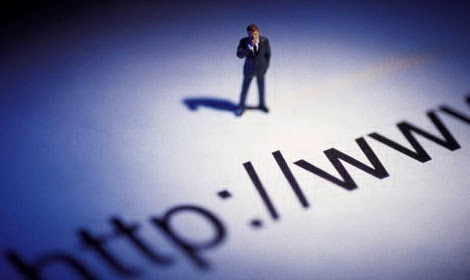 After selecting your available domain name with proper extension take a deep look, is it still perfect for your blog? I am saying for deep looking because you are going to promote your blog with this domain name for forever whether it is your personal or business website. The most important part is your domain name should be easy to make it memorable and make sure it has not any grammatical mistakes. The maximum length of a custom domain name is 63 letters. So don’t make it too large. Try to select within 6-10 characters. There are lots of domain and hosting service provider in online. So, don’t be panic to register quickly in a non quality company. Find a reputed and trustworthy domain and hosting company. Never put your legs on bad company's trap by seeing bait advertising. After all it’s an important part of your business. To buy a domain name you need to provide them your full name, email, credit card number and a valid postal address. That data will be shown at your domain ownership information which is called "whois details". The domain name registration and renew process is yearly basis so you need to renew your domain name every year after once registration just before its expire date. I always suggest to my friends and readers to buy a custom domain from HostGator. Because they are proving really great services at cool price since 2002. The most attractive thing is its 24X7X365 customer service. No matter what’s your problem time to get technical support from their professional customer managers. They also offer Coupon codes for large discount. That’s why I call them mad hosting company. You can get 25% discount on price if you use the following Hostgator discount coupon code. At last, having a custom URL for your business or personal blog site adds an extra level of professionalism. People will love to visit your site again and again when they see you are using a pro domain name and offering amazing contents in your blog and trust me thus your popularity and web ranking will be growing up. With best wishes… Happy Blogging.